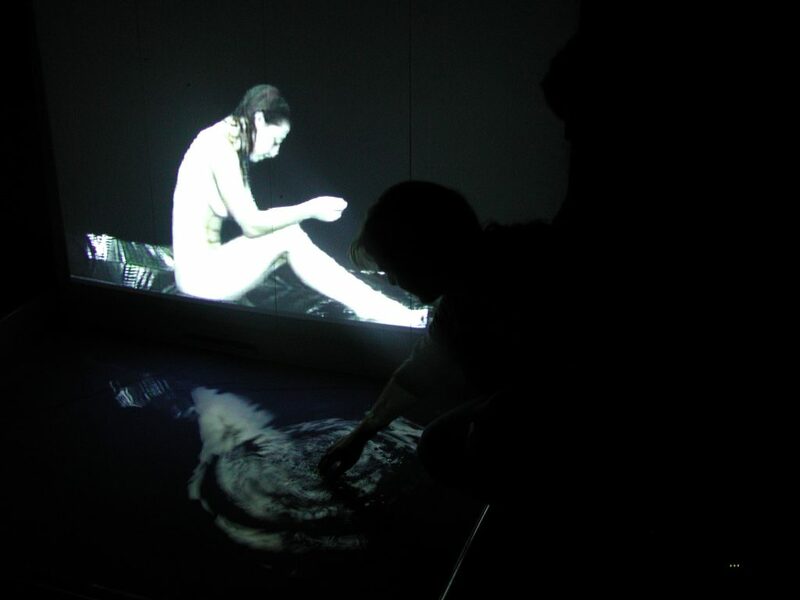 Reflected Moments I is an audiovisual installation which exists of a projection of a bathing woman and a basin filled with water. Her movements on the screen cause (real) water to splash out of the screen. These actions temporary distort the reflection in the water.